CLICK TO VIEW ARTICLE - 29OCT CBC.ca : Ottawa shooting: Stephen Harper tells MPs he's sorry he left during 'attack'. CLICK TO VIEW ARTICLE - 27OCT RT.com : Ron Paul: Canada suffers for turning militaristic. CLICK TO VIEW ARTICLE - Legislative employee in Ottawa takes photos of significant police presence near parliament buildings, allegedly 15 minutes before shooting took place. CLICK TO VIEW PHOTOS - Photo from an anonymous legislative assistant in Ottawa, allegedly showing lots of police vehicles around the parliament buildings, fifteen minutes before the alleged shooting event took place. CLICK TO VIEW VIDEO - YouTube Video: CBC.ca : Security Panel - attack in Ottawa. (NOTE: The relevant comments begin at the 01:52 mark. ) Adrienne Arsenault: Canadian security agencies have been preparing for almost identical situations for at least a month. CLICK TO VIEW ARTICLE - GlobalResearch.ca : Canadian authorities ran drills almost identical to the events that happened in Quebec and in Ottawa a month before. CLICK TO VIEW ARTICLE - 30OCT Mark Taliano, whatsupic.com : Thinking the unthinkable: Ottawa shooting a pretext to control all Canadians. CLICK TO VIEW ARTICLE - Benjamin Fulford comments on Ottawa events. CLICK TO VIEW ARTICLE - 24OCT - Canadian Press via HuffingtonPost.ca : Russell Brand criticizes Stephen Harpers reaction to Ottawa shooting. CLICK TO VIEW WEBSITE - The PetitionSite.com : Dismiss the Stephen Harper government. CLICK TO VIEW ARTICLE - 31OCT 2012TheBigPicture.wordpress.com : Putin to western elites: playtime is over. CLICK TO VIEW ARTICLE - 30OCT RT.com : Sweden officially recognizes Palestinian state. CLICK TO VIEW ARTICLE - 04OCT RT.com : 'US won't decide our policies.' - Sweden on Palestinian state recognition. CLICK TO VIEW ARTICLE - 30OCT Howard Koplowitz, IBTimes.com : Israel ecalls ambassador to Sweden over recognition of Palestinian state. CLICK TO VIEW ARTICLE - 29NOV2012, HuffingtonPost.com : Countries that voted against Palestine at UN include US, Canada and Israel. CLICK TO VIEW ARTICLE - 30OCT RT.com : 51 countries declare banking secrecy 'obsolete', sign pact in Berlin. CLICK TO VIEW ARTICLE - 27OCT euronews.com : Spain: Dozens arrested in anti-corruption raids. CLICK TO VIEW ARTICLE - 27OCT ThinkSpain.com : Country-wide anti-corruption operation leaves 51 top politicians in custody. CLICK TO VIEW ARTICLE - 07JAN EuroNews.com : Spain's Princess Cristina charged with tax-evasion. CLICK TO VIEW ARTICLE - 27OCT via Al Jazeera: Spain arrests dozens in anti-corruption raids. CLICK TO VIEW ARTICLE - 22OCT minds.com : Monsanto panics: drops another 3.5 million to defeat GMO labelling in Oregon and Colorado. CLICK TO VIEW ARTICLE - 01OCT Christina Sarich, NaturalSociety.com : Monsanto and Big Food dump over 8.15 million dollars to defeat GMO labelling in Colorado. CLICK TO VIEW ARTICLE - 23OCT Katlyn Keller, BizJournals.com : CEO and Monsanto execs selling off company stock. CLICK TO VIEW ARTICLE - 20OCT Christina Sterbenz, BusinessInsider.com : An American Warden visited a Norwegian prison, and couldn't believe what he saw. CLICK TO VIEW ARTICLE - 26OCT Nathaniel Downes, AddictingInfo.org : American Warden visits prisons in Scandinavia and can't believe his eyes. CLICK TO VIEW ARTICLE - 25JUL2011 - Piers Hernu, DailyMail.co.uk : Norway's controversial 'cushy prison' experiement - could it catch on in the UK? CLICK TO VIEW ARTICLE - 24MAY2012, John D Sutter, CNN.com : Welcome to the world's nicest prison. CLICK TO VIEW ARTICLE - 18MAY2012 Paul Henly, BBC.com : Crime and punishment, Norwegian style. CLICK TO VIEW ARTICLE - 30OCT JD, New Earth Media : Stephen Bassett takes on Congress as the disclosure movement moves to Capitol Hill. CLICK TO VIEW ARTICLE - ParadigmResearchGroup.org : Congressional Hearing Initiative (CHI) will launch on 05NOV. 1. Most people will see a soccer/football at the top. Look closer. There are stars in blue where the black spots might be on a soccer ball. This suggests space. If you look even MORE closely, notice the shading between the blue and the black, giving the circles a more 3D look. This seems to suggest something more 3D in space, such as a starship, or what might seem to be a clear dome on top of a starship. Three starships suggests that there are many, as opposed to only one, meaning many members of our galactic families are around Earth at this time. The little dots on the edge of each starship is a subtle detail, I believe to emphasize a starship or UFO design. The lower starship is being embraced by a human form. This seems to suggest that there are civilizations of human form that are onboard these starships, and that they are coming down to Earth. The circles at the base of the logo may be symbolic of UFO's that are currently being spotted around Earth. There appears to be something like an arrow, which may symbolize 'shooting for the stars'. The stars that appear at the bottom of the logo seems to suggest that contact from the stars has already come down to Earth. The red colour may symbolize that Russia is actively promoting and supporting this disclosure with our galactic families. On the left side of the base of the logo, there is a human form, with arms outstretched, with a star overhead, suggesting that perhaps humans are reaching for the stars and for contact, but perhaps more likely that they are embracing and welcoming contact from the stars and our galactic families. It is also possible that the year 2018 is a deadline year, by which Russia expects full disclosure to have taken place, and everything is fully underway to facilitate and disseminate all necessary information to the people of the planet, if not sooner. The gold framing is very likely a strong hint to the old financial order that the gold standard for international finance is now here, and that Russia is playing its role in making it happen. It represents the role that that gold will be playing in supporting currencies in the new financial paradigm. CLICK TO VIEW ARTICLE - 31OCT RT.com : Virgin Galactic's SpaceShip Two crashes in the Mojave Desert. CLICK TO VIEW ARTICLE -29OCT RT.com : First transformer flying car ready for production. CLICK TO VIEW VIDEO - YouTube Video : Aeromobil - demonstration of the AeroMobil 3.0 in flight. CLICK TO VIEW WEBSITE - AeroMobil.com - the Homepage for the company. CLICK TO VIEW ARTICLE - sourceable.net : Singapore leading the way in green urbanization with updated masterplan. CLICK TO VIEW ARTICLE - 30OCT Julie Wilson, NaturalNews.com : Organic and 'natural' brands owned by big corporations funnel millions of dollars into anti-GMO-labeling campaign. CLICK TO VIEW ARTICLE - 08OCT Luke Runyon, Harvest Public Media via PBS.org : No matter how Colorado votes, GMO labelling debate far from over. 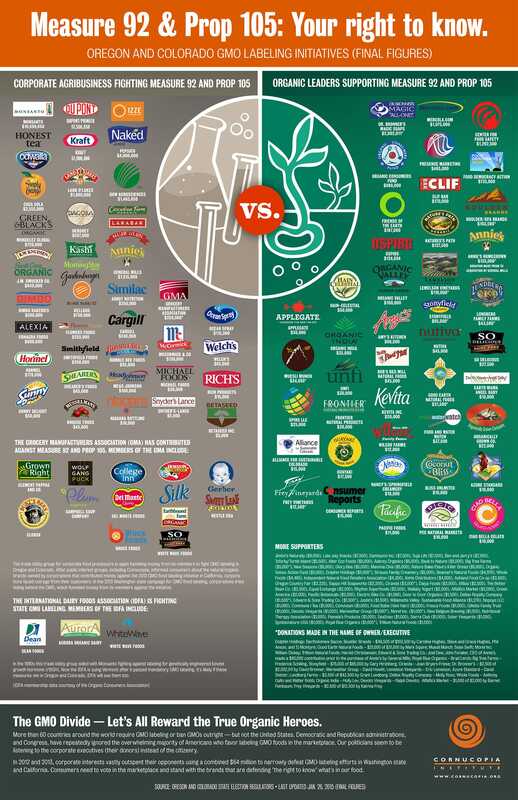 CLICK TO VIEW ARTICLE - cornucopia.org : List of companies for and against GMO labelling: Measure 92 and Prop 105: Your right to know. CLICK TO VIEW ARTICLE - RightToKnowColorado.org : What people of Colorado need to know, and what people from other states can learn about to push for similar actions in their home states or home countries. CLICK TO VIEW ARTICLE - NonGMOProject.org : Frequently asked questions about GMO's. By way of a short announcement this week, I would like to make a gentle request of the listeners who are able to do so, to perhaps consider offering a donation to continue supporting the work of CVN. I would prefer not to make requests during the newscast, but I still receive messages from people who ask me if it is possible to donate, because they have not seen the locations on the website that allow angels to make donations. Maybe it is my own fault, because I have not made the donations button more visible. I know other sources are very vocal, and they push donations with their viewers or their readers. In the past, I have chosen to more quietly advertise donations because I have not wanted people to feel guilty about supporting this work. I believe that I have demonstrated my commitment and my service to humanity, our planet and our benevolent galactic families over the years CVN has been on the air, and also with my work associated with A Greenprint For LIFE. My commitment to global change, peace and the disclosure of our galactic families means more to me than any salary from any company. I am committed to helping co-create a better future for the children of our planet so that they can grow up free of debt, fear and enslavement to a system that commercializes them while destroying their planet for profit, power and greed. If it is within your means to do so, and ONLY if it is, I would gently like to ask if you might be willing to keep CVN in your mind as you decide which sources you might choose to support this upcoming holiday season. If you are willing to do at least do this, then I express my profound gratitude and appreciation for your consideration. It would mean so much to be able to continue this service to you all, without having to take another job that may cut back on the hours I can dedicate to CVN. A donation can take many forms, and does not necessarily require a financial contribution, although this will be the most immediate help. Perhaps you can donate frequent flyer or hotel points, or you can simply help promote CVN to others, or perhaps recommend me to any media people who may need voice-over work for videos, commercials or promotions. Maybe you have a suggestion for a product or service that you are willing to share or provide. I am willing to consider whatever comes from one's heart. A banner has been posted on this weeks show summary and will continue to appear through to the end of the holiday season, or until alleged global, geo-economic changes unfold for the benefit of all humans. However you may feel called to serve, dear listeners, please know how grateful I am for the assistance. I send blessings on all levels to each of you for sharing your precious time with CVN and with me! 13. THERE ARE NO 'FINAL WORDS' THIS EVENING. 'FINAL WORDS' WILL RETURN NEXT WEEK.